.Application/Usage: UPS. Form Factor: Wall Mountable. Color: Black. Color: Clear Door. Material: Steel. Material: Acrylic Window. Maximum Weight Capacity: 250 lb. Static/Stationary Weight Capacity: 250 lb. Height: 35.6.Width: 23.5".Depth: 26".Rack Height: 18U.Rack Width: 19".Rack Depth: 24.50".Weight (Approximate): 99.60 lb. Package Contents: SRW18USDPG SmartRack 18U UPS-Depth Wall-Mount Rack Enclosure Cabinet. .42 x M6 Screws. .42 x M6 Cage Nuts. .42 x M6 Washers. .42 x 12-24 Screws. .2 x Keys. .Owner's Manual. .Assembly Required: No. Green Compliant: Yes. Green Compliance Certificate/Authority: RoHS. Limited Warranty: 5 Year. Package Contents. .SRW18USDPG SmartRack 18U UPS-Depth Wall-Mount Rack Enclosure Cabinet. .42 x M6 Screws. .42 x M6 Cage Nuts. .42 x M6 Washers. .42 x 12-24 Screws. .2 x Keys. .Owner's Manual. ."
.Application/Usage: LAN Switch. Application/Usage: Patch Panel. Form Factor: Wall Mountable. Color: Black Powder Coat. Material: Steel. Maximum Weight Capacity: 200 lb. Static/Stationary Weight Capacity: 200 lb. Height: 14.5.Width: 23.6".Depth: 17.9".Rack Height: 6U.Rack Width: 19".Rack Depth: 16.50".Weight (Approximate): 29 lb. Package Contents: SmartRack SRW6UKD Rack Cabinet. .Owner's Manual. .Assembly Hardware. .2 x Top/bottom Panels. .2 x Side. .Equipment Mounting Hardware. .12 x 12-24 Screws. .12 x M6 Cage Nuts. .12 x M6 Sup Washers. .Assembly Required: Yes. Environmentally Friendly: Yes. Environmental Certification: RoHS. Limited Warranty: 5 Year. Package Contents. .SmartRack SRW6UKD Rack Cabinet. .Owner's Manual. .Assembly Hardware. .2 x Top/bottom Panels. .2 x Side. .Equipment Mounting Hardware. .12 x 12-24 Screws. .12 x M6 Cage Nuts. .12 x M6 Sup Washers. ."
.Form Factor: Wall Mountable. Height: 35.6.Width: 23.6".Depth: 21.6".Rack Height: 18U.Rack Width: 19".Green Compliant: Yes. Green Compliance Certificate/Authority: RoHS. Limited Warranty: 5 Year." .Application/Usage: Patch Panel. Application/Usage: LAN Switch. Form Factor: Wall Mountable. Color: Black Powder Coat. Material: Steel. Maximum Weight Capacity: 150 lb. Static/Stationary Weight Capacity: 150 lb. Height: 28.8.Width: 25.6".Depth: 9.7".Rack Height: 4U.Rack Width: 19".Rack Depth: 20".Weight (Approximate): 29 lb. Package Contents: SmartRack SRWF4U Rack Cabinet. .12 x M6 Screws. .12 x M6 Cup Washers. .12 x 12-24 Screws. .2 x Keys. .Owner's Manual. .Assembly Required: No. Green Compliant: Yes. Green Compliance Certificate/Authority: RoHS. Limited Warranty: 5 Year. Package Contents. 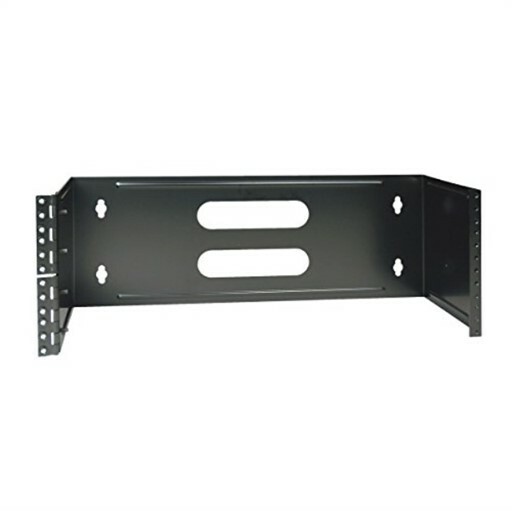 .SmartRack SRWF4U Rack Cabinet. .12 x M6 Screws. .12 x M6 Cup Washers. .12 x 12-24 Screws. .2 x Keys. .Owner's Manual. ."